eLife is pleased to announce ‘Discovery and Translation of Cancer Immunology: A Special Issue’, curating the very best research in this field. Cancer immunology relates to the ability of the immune system to protect a host against tumorigenesis. Understanding how both the innate and adaptive arms of the immune system contribute to immune surveillance and defense has led to the development of several clinically successful anti-cancer therapeutics. To highlight recent advances in the mechanistic understanding of the immune response to cancer cells and new discoveries that relate to therapeutic interventions, eLife is pleased to invite submissions to a Special Issue devoted to this exciting topic. 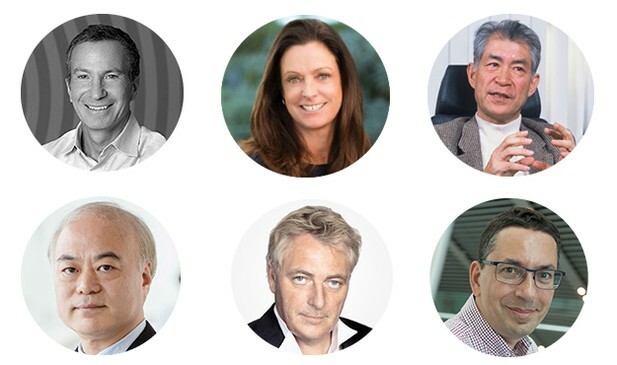 From top left to right: Jeff Settleman, Jane Grogan, Tasuku Honjo, Yutaka Kawakami, Guido Kroemer and Caetano Reis e Sousa. At eLife, working scientists handle all editorial decisions. We do not artificially limit the number of articles we publish or have a set acceptance rate. Rather, we rely on the judgment of the working scientists who serve as our editors to select papers for peer review and publication. Following peer review, the editor and referees consult with one another in order to provide clear guidance to authors and limit the round of revisions. Authors interested in being part of the Special Issue can submit their manuscripts via eLife’s submission system, highlighting in the cover letter that the paper is for consideration in this collection. Papers will be published online when they’re ready and will continue to be considered for the Special Issue until September 30, 2019. To be alerted as new papers are published, follow #eLifeCancerImmunology on Twitter. We welcome comments/questions from researchers as well as other journals. Please annotate publicly on the article or contact us at hello [at] elifesciences [dot] org.